Alaska Airlines is the smallish airline with the mega-carrier footprint. Never mind that Alaska carries just 16 million passengers annually (versus 138 million for United) to a mere 90 destinations (versus around 350 for both American and United) with a modest fleet of 150 jets (compared to 700 for United). Never mind that Alaska’s workforce totals just 14,000 employees, versus 84,000 for United and almost 100,000 for American. Never mind that Alaska is not a member of one of the three dominant global alliances, as are American, Delta, and United. 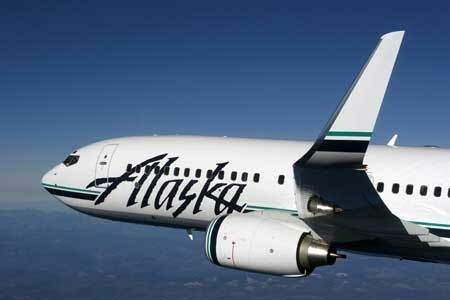 Through a combination of savvy marketing, operational discipline, and unwavering customer focus, the pint-sized Seattle-based airline competes with its larger mainline rivals on coverage and dependability and service. And wins more often than not. Where Alaska has been notably lacking, compared to the U.S. Big Three, was in its premium-economy product: It didn’t have one. Dubbing bulkhead and exit-row seats, with their extra legroom, Preferred Plus was no substitute for American’s Main Cabin Extra or Delta’s Comfort+ or United’s Economy Plus. Alaska knew it; and more importantly, Alaska’s customers knew it. Beginning in late 2016, Alaska will overcome that competitive disadvantage, with the rollout of its own premium-economy seating product. The new Premium Class service will feature seats with 3 to 4 inches of extra legroom, priority boarding, and unspecified “other perks.” It will be offered to Alaska elites “on a complimentary basis at booking or day of travel dependent on status and fare purchased.” Pricing to upgrade for non-elites hasn’t been established, but is likely to mirror premium-economy prices charged by the Big Three. At the same time as it is reconfiguring planes to accommodate the new Premium Class sections, Alaska will be adding 5 more inches of legroom in first-class. Disappointingly, Premium Class won’t be fitted across Alaska’s complete fleet. Plans call for installing the new section on the airline’s B737-800s, B737-900s, and Embraer 175s, but not on its B737-400s and B737-700s. Next up for Alaska is the question of its mileage program: Will the airline follow American, Delta, and United in converting Mileage Plan to a spend-based scheme; or will it continue awarding miles according to the distance flown? It’s a difficult decision, with significant implications for Alaska’s position in the competitive landscape. But nobody said it would be easy being David in a world of Goliaths.